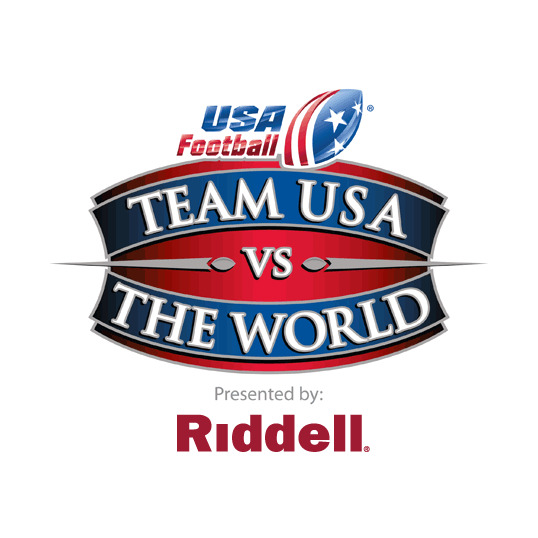 USA Football, the sport’s national governing body on youth and amateur levels, announced today that Riddell is the presenting sponsor of USA Football’s “Team USA vs. The World” game in Ft. Lauderdale, Fla., on Saturday, Jan. 30. NFL Network will televise the game nationally with kickoff set for noon ET. USA Football’s “Team USA vs. The World” game, presented by Riddell, is an official NFL Pro Bowl Week event. The game features USA Football’s 2010 Junior National Team and a World Select team comprised of players and coaches spanning four continents in Ft. Lauderdale’s historic Lockhart Stadium. Team USA includes America’s top high school football student-athletes. The game will air after Jan. 30 AFC and NFC All-Star practices in Lockhart Stadium and both events are free of charge. The head coach of USA Football’s Junior National Team is CHRIS MERRITT, head coach of Miami Christopher Columbus High School. Merritt was the 2009 USA Football Junior National Team’s defensive backs coach that earned a gold medal in Canton, Ohio, this past July in the eight-nation International Federation of American Football (IFAF) Junior World Championship. The tournament was the first junior world championship in football history, drawing more than 40,000 fans to Canton’s Fawcett Stadium during the course of four game days. JAN JENMERT, head coach of Sweden’s junior national football team, is the head coach of the 45-man “World” roster. Delivering NFL Network game commentary for the multi-national noon ET kickoff on Jan. 30 will be RICH EISEN, DEION SANDERS and SCOTT KENNEDY. Sideline reporter STACEY DALES will contribute on-field insight. USA Football’s “Team USA vs. The World” game, presented by Riddell, is also supported by numerous USA Football corporate partners, including Shock Doctor, GameWear Team Sports, Gatorade, Cutters and the Andrews Institute. 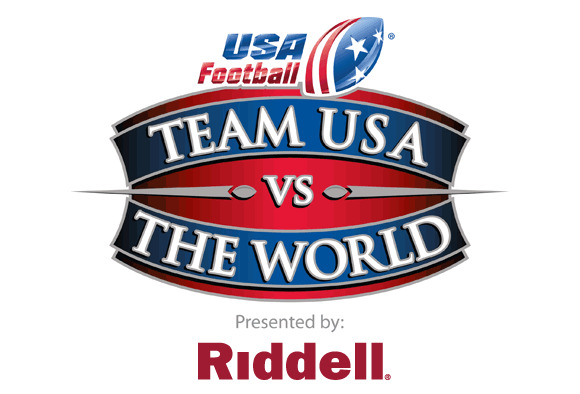 For more about USA Football’s “Team USA vs. The World” game, presented by Riddell, visit www.usavworld.com. USA Football, the sport’s national governing body on youth and amateur levels, hosts more than 80 football training events annually offering education for coaches and game officials, skill development for players and resources for youth football league commissioners. The independent non-profit is the official youth football development partner of the NFL, its 32 teams and the NFL Players Association. USA Football manages U.S. national teams within the sport for international competitions and provides $1 million annually in equipment grants and youth league volunteer background check subsidies. Endowed by the NFL and NFLPA in 2002 through the NFL Youth Football Fund, USA Football is chaired by former NFL team executive Carl Peterson.